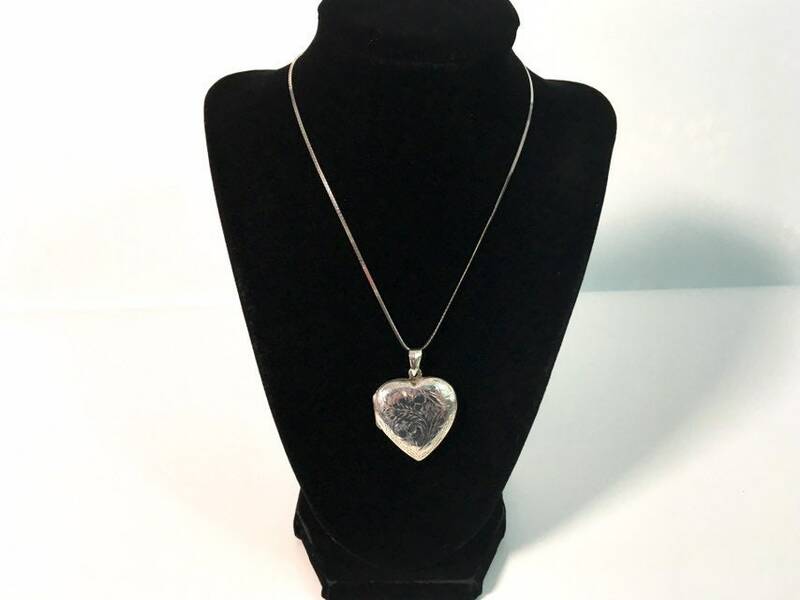 Vintage Etched 925 Sterling Silver Heart Shaped Locket Pendant with a Sterling 925 Chain. 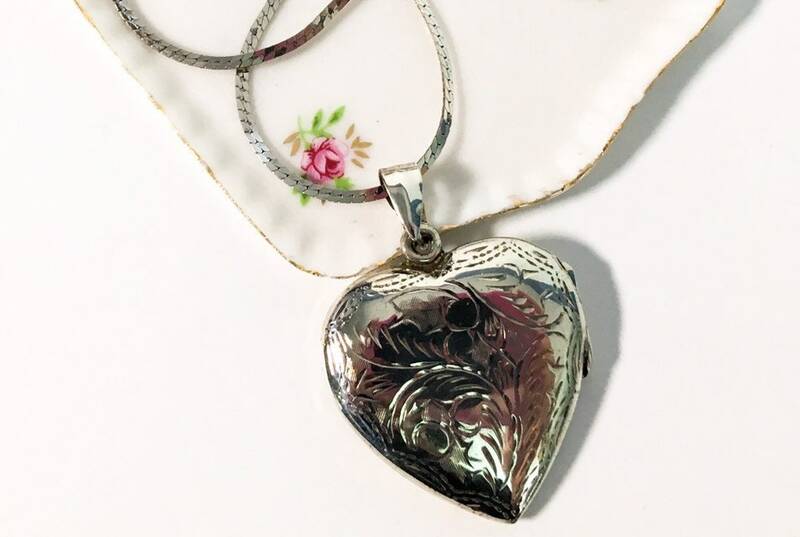 Vintage mid century (circa 1960s) heart Locket pendant. 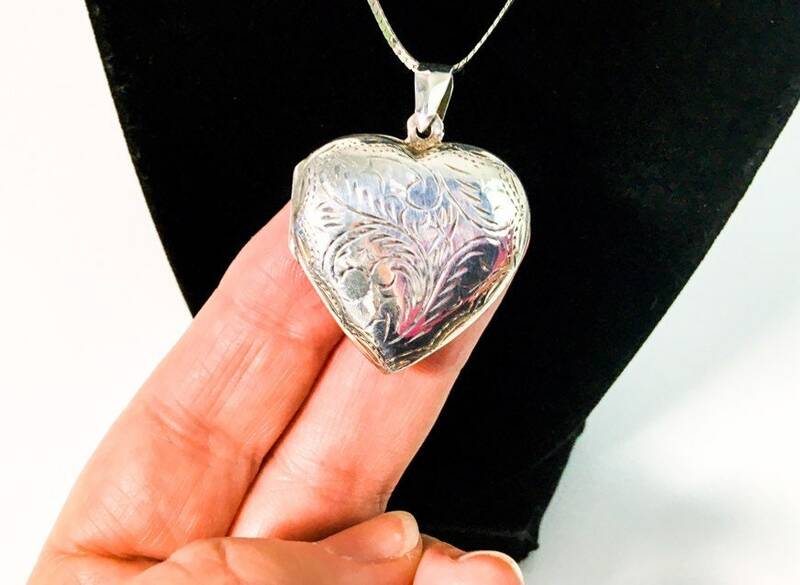 This large Etched locket features a feathery swirled design on the front and on the back sides. 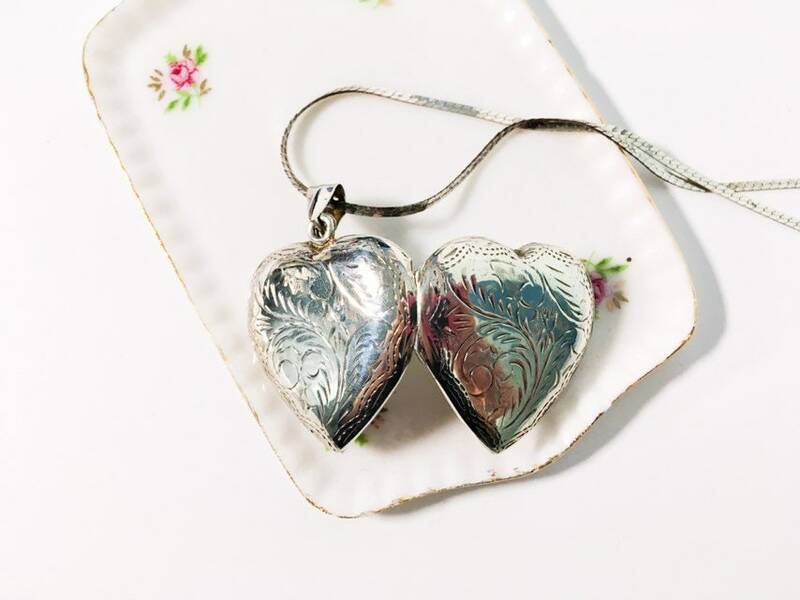 This retro locket opens and closes securely. The bale is plain with no etching but has a decorative ridge in the center. 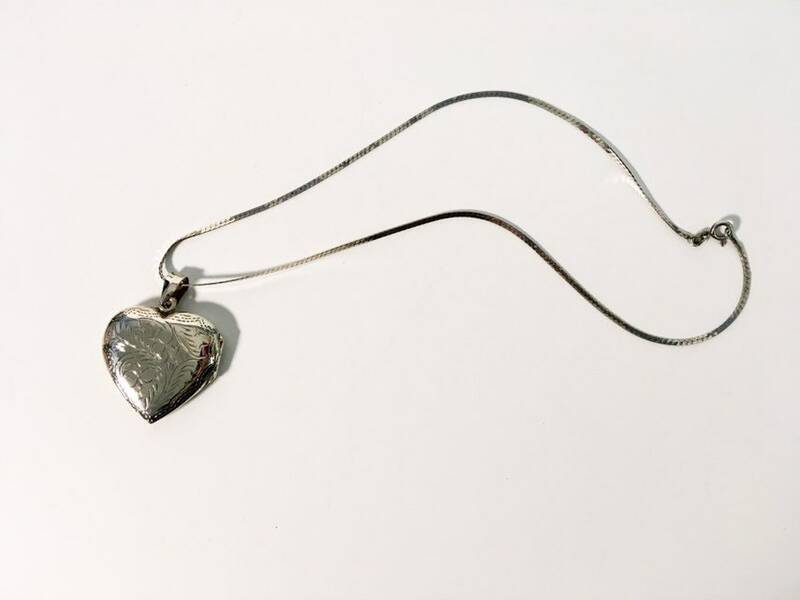 The retro Locket hangs from a vintage flat link serpentine sterling silver Chain. The clasp has 925 on it. Clasp opens and closes well. 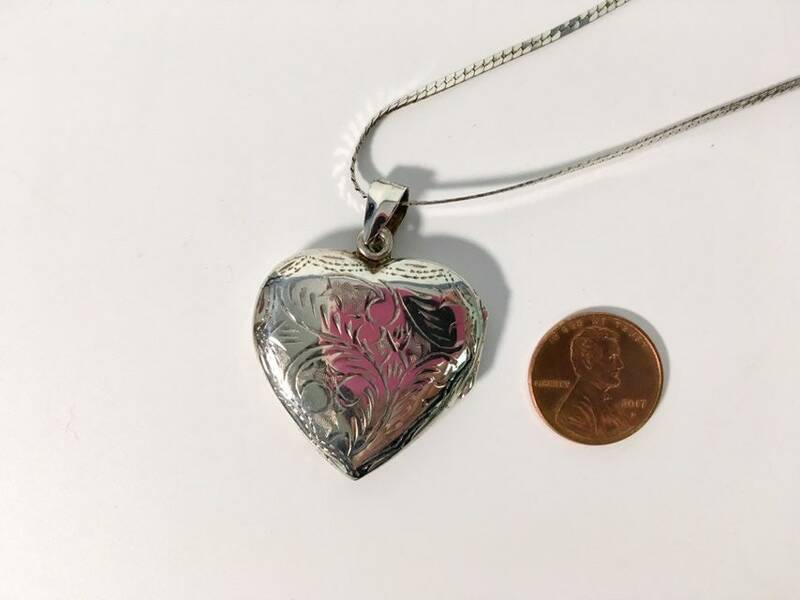 This mid century Etched silver photo locket necklace is in nice vintage condition. It was lightly polished but could be further polished to really shine if so desired. Chain is also in great vintage condition - clasp works well. The chain has a nice amount of shine. The sterling silver flat "S" link chain is approx. 15" long. 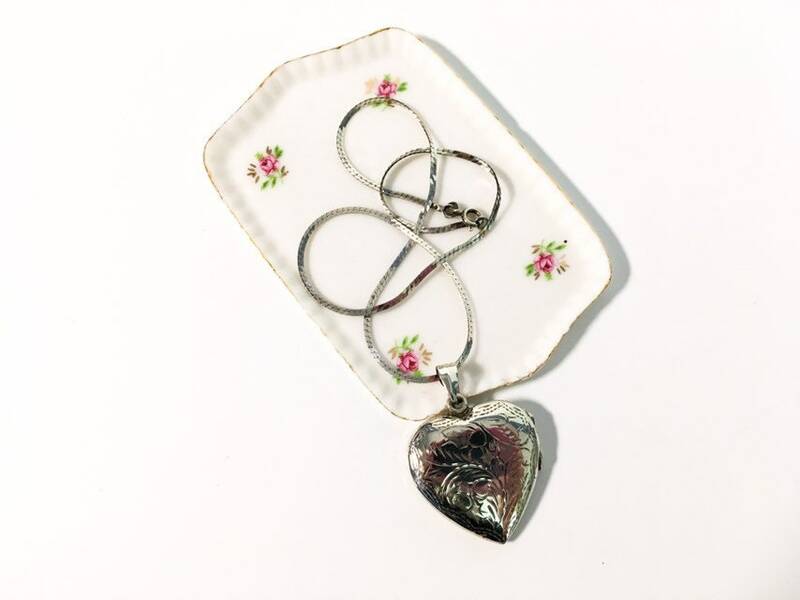 Heart Locket itself is approx. 1 1/2" long including the bale and 1 1/4" wide. 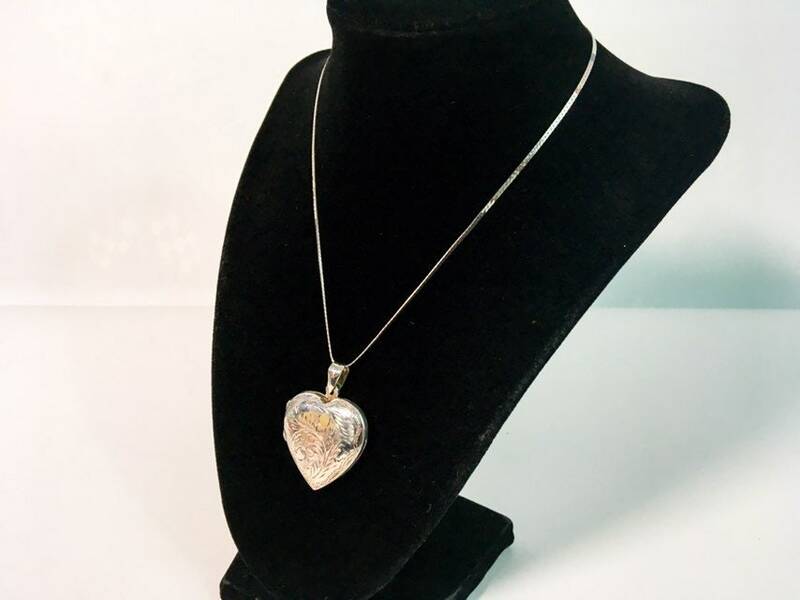 Heart Locket and the chain weigh 10 grams. 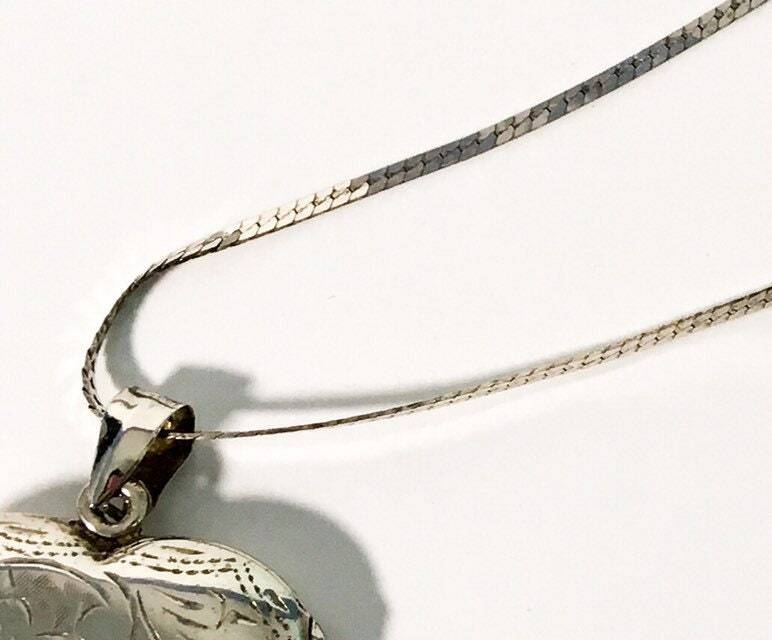 The chain is hallmarked 925 for Sterling Silver on the clasp. 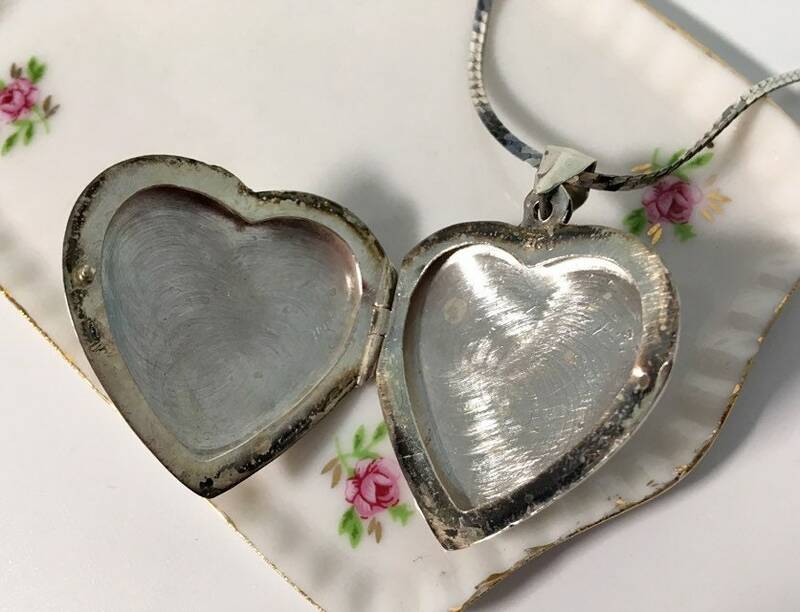 The locket is also marked 925.